Topic: Can i get a 2008-2009 prado for under 200k? Re: Can i get a 2008-2009 prado for under 200k? Old school 1kz diesel safe .... Just gotta watch price of fuel now. Richmond Motors - local dealership?? matthewb wrote: Can i get a 2008-2009 prado for under 200k? Could Prados be included in this chat? 4 Tyres with plenty of life. Topic: Any Prado Owners on the forum? Re: Any Prado Owners on the forum? 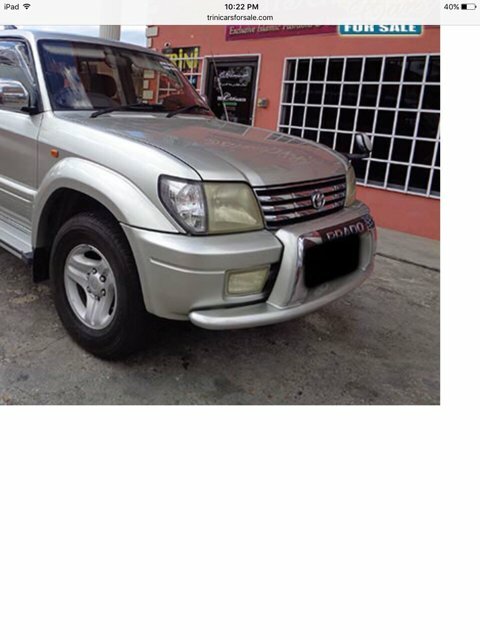 WTB Original Toyota Prado (KZJ90) prado front bumper spoiler. Message me if you know where I can one. Topic: Mercedes-Benz cla 200 parts needed !! Re: Mercedes-Benz cla 200 parts needed !! blacklancer wrote: I recently bought a KZJ95 prado with a 1kz engine working great. only missing the drivers side door visor anyone know where i can get this. I am using amsol full syn. oil and original filter. Where to get the 4th tyre? Message me on 777-3077 if you are serious about buying one. Not sure. Could be many things including a fuse. Get a Euro mechanic to diagnose properly. If you need one let me know.